YUMI is freeware. However, if you enjoy using YUMI and would like to help support its development, please consider making a donation. Important YUMI UEFI info: You'll need to disable secure boot (if it's enabled). Drive must be Fat32 formatted if you want to UEFI boot. The following YUMI UEFI version is a work in progress that utilize GRUB2 for both UEFI and BIOS booting. Please NOTE that it is not backwards compatible with standard YUMI. 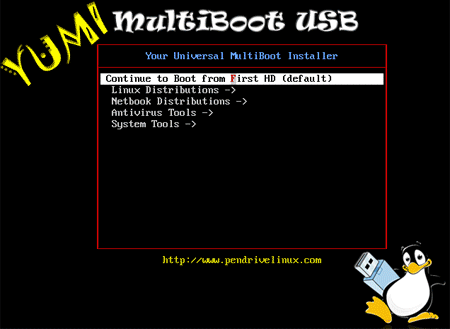 Supported distributions are limited, and your USB drive must be Fat32 formatted to support booting in UEFI mode. (Only BIOS mode will work with NTFS formatted drives). 02/14/19 Version 0.0.1.3: Update to support Kodachi and Memtest86. Implement 7zip version 18.6. Fix broken Redo Backup homepage link. Add Anonymous Browsers section. Add Home, FAQ and Support links. 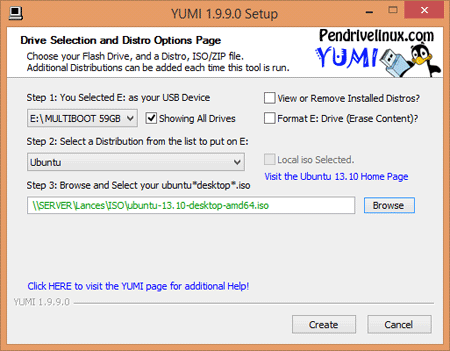 248 509 Pen Drive Linux <img src="https://www.oldergeeks.com/downloads/gallery/thumbs/YUMI-Boot-Menu_th.png"border="0"> Feb 20, 2019 - 12:40 v0.0.1.3 5.48MB EXE , out of 1 Votes.